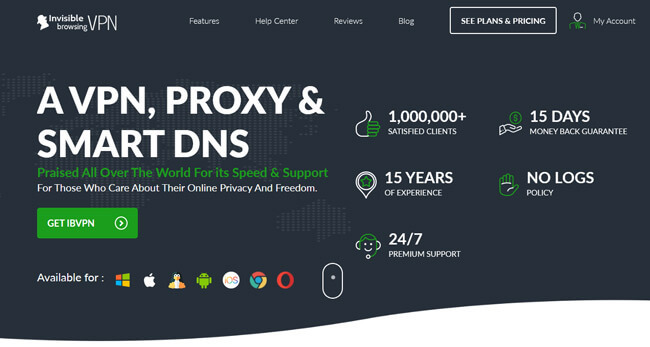 Praised for its high speeds, reliability, and world-class customer support, ibVPN is a highly popular VPN service that is definitely worth your attention. If you are thinking about getting an ibVPN subscription, this Black Friday is the best time to make your purchase. Whichever annual plan you choose, you get to enjoy a huge discount that is sure to make your budget happy. Here are more details on the special deal ibVPN has prepared for Black Friday 2018. Offer: Save 68% on ibVPN’s annual plans! You can get ibVPN for only $3.08 per month with its amazing 68% discount on annual VPN and SmartDNS plans! Since all plans also come with a 15-day money-back guarantee, there is no reason why you should not make use of this super-generous discount and upgrade your online security.